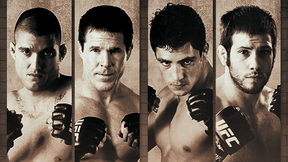 The Ultimate Fighter: Team Hughes vs. 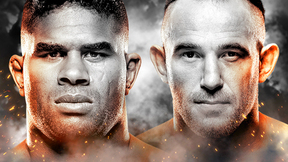 Team Franklin Finale saw two more winners crowned -- heavyweight and welterweight -- and a main event scrap you’ll never forget as TUF 1 winner Diego “The Nightmare” Sanchez had a back-and-forth battle with Nick Diaz. 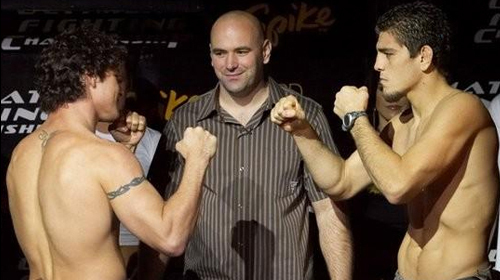 Diego Sanchez vs. Nick Diaz TUF 2 Finale Sat, Nov 5, 2005 (24:38) Diego Sanchez and Nick Diaz squared off in the finale of the second season of The Ultimate Fighter. 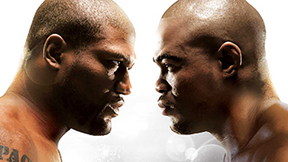 Rashad Evans vs. Brad Imes TUF 2 Finale Sat, Nov 5, 2005 (27:52) The Ultimate Fighter 2 Finale featured undersized wrestler Rashad Evans taking on ex-football player Brad Imes. 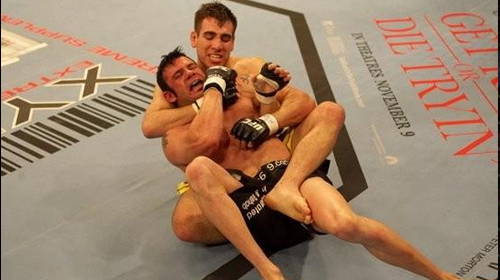 Joe Stevenson vs. Luke Cummo TUF 2 Finale Sat, Nov 5, 2005 (33:57) An all Team Hughes welterweight final as Joe “Daddy” Stevenson’s guillotine chokes and ground & pound entered the Octagon against Serra/Longo product Luke Cummo with his kickboxing & crafty BJJ skills. 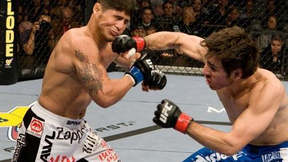 Kenny Florian vs. 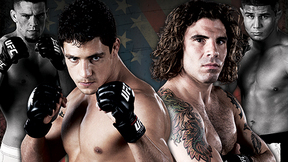 Kit Cope TUF 2 Finale Sat, Nov 5, 2005 (14:22) Muay Thai Champion Kit Cope makes his Octagon debut as he takes on BJJ black belt Kenny Florian in this welterweight battle. With their styles giving them advantages in different areas, this clash of techniques should provide for an interesting matchup. Josh Burkman vs. Sam Morgan TUF 2 Finale Sat, Nov 5, 2005 (7:30) Team Hughes welterweights Sammy “The Squeeze” Morgan and Josh Burkman were set to make their Octagon debuts against each other in scrap between fight finishers as Burkman owned 10 of his 13 careers by stoppage and all of Morgan’s 16 wins were by finish. 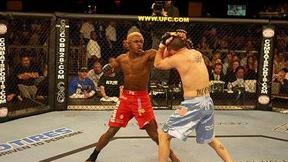 Melvin Guillard vs. Marcus Davis TUF 2 Finale Sat, Nov 5, 2005 (15:56) Warring welterweight Team Franklin members, former pro boxer turned MMA fighter Marcus “Irish Hand Grenade” Davis made his Octagon debut against the explosive knockout artist & an already 20+ fight MMA veteran Melvin “The Young Assassin” Guillard. 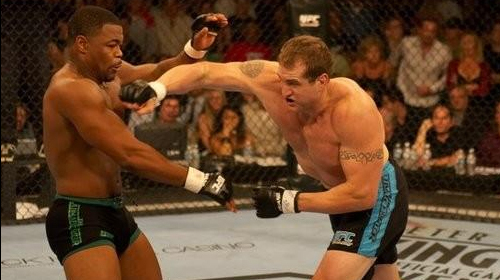 Keith Jardine vs. Kerry Schall TUF 2 Finale Sat, Nov 5, 2005 (16:30) A heavyweight collision between power-puncher Kerry Schall with his experienced 19-7 pro record faced Team Franklin’s Keith “The Dean of Mean” Jardine who outside of the show was a 9-1-1 pro with a lethal striking game.